Pip Wilson bhp: Despite the fact that this child was locked up in a cupboard when he was young, belittled and humiliated by his mother's partners, he is viewed as the one at fault. Despite the fact that this child was locked up in a cupboard when he was young, belittled and humiliated by his mother's partners, he is viewed as the one at fault. He goes out every evening and often does not come home at night. He regularly misses school. His teachers find him disruptive and struggle with his behaviour. He has started hanging out in a park with a group of older men. The police suspect he is dealing drugs. But his social workers call him "resilient". Despite the fact that he says he feels awful most of the time - depressed and hungry, he provokes frustration in his probation officer when he is late. Despite the fact that he has a bad cough, he cannot go to the doctor's as his mum says they "don't have one". Despite all this, he is the kind of teenager that agencies would consider to be "the problem" rather than a victim of neglect and trauma, inspectors say. A joint report from inspectors looking at how a range of agencies deal with children and young people says professionals often focus on the behaviour of older children, losing sight of their back stories and that they are vulnerable and in need of affection and support. The inspections involved staff from Ofsted, HMI Constabulary, HMI Probation and the Care Quality Commission. They looked at how older children were treated by social, education, health services, and police, probation and offending teams. Their report acknowledges signs of neglect in older children may be more difficult to identify than in younger children. It says: "When neglected children present to agencies with a range of problems, such as exhibiting offending behaviour, having suffered exploitation and/or misusing substances or having mental health difficulties or a combination of these many issues, professionals sometimes lose focus on the underlying causes of these problems. "We found that professionals did not always look at the whole child, their history and home circumstances in order to understand presenting behaviours and risks in the context of neglect. "The behaviour of older children must be understood in the context of trauma." They probably want to spend more time away from their neglectful home and may be more vulnerable to risks such as "going missing, offending behaviour or exploitation". However, parents and professionals often see only the issues in front of their eyes without taking the context of neglect into account. The report says: "Children are not the problem." Older children still need parental care and support. And professionals should be challenging "neglectful" parents. Yvette Stanley, Ofsted's national director for social care, said: "Older children are still children and they need our love and care. "They face risks outside the home in a way younger children do not and need parents to provide clear boundaries and support on their journey to adulthood. "Some older children we saw had been neglected by their parents over many years. "These children are incredibly vulnerable. 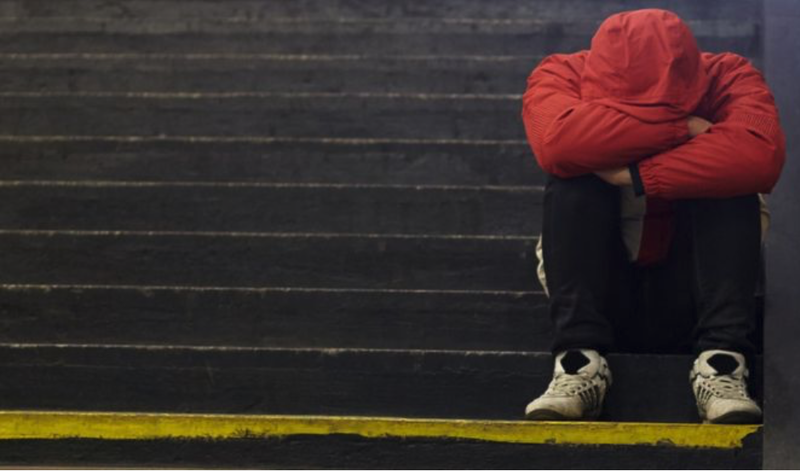 "They can seem 'resilient' and appear to be making 'lifestyle choices' when they are in fact finding unsafe ways of coping, like getting involved in gangs or misusing drugs and alcohol." A government spokesperson said neglect of any child or young person was wrong and that it was committed to ensuring they receive the care and support that they need. "That is why we are reforming how agencies work together at a local level in safeguarding against abuse and neglect. "We have strengthened our 'Working Together to Safeguard Children' guidance which, for the first time, makes clear the expectations on all agencies to protect young people from exploitation." Charity, the Children's Society, said: "Children suffering neglect need help from services to address underlying issues in their lives but too often they are wrongly dismissed as troublesome teenagers or resilient enough to cope. "Support needs to be offered to the whole family so that parents who may be struggling with their own problems receive crucial advice and support to help them to keep their children safe and give them the care they need.